In gratitude for spiritual or temporal victories, countless individuals throughout history have given Mary the title of "Our Lady of Victory." Today, the faithful continue to dedicate their prayers and good works to Mary under this title while supporting the important work being done through her Homes of Charity and Our Lady of Victory (OLV) Institutions. All of the good work that is done through the Homes of Charity is possible because of the generosity of our faithful friends around the world. Thousands of people, inspired and touched by Our Lady of Victory, make contributions in her honor. Their offerings are used to help fulfill the spiritual and material needs of the thousands of individuals and families we serve each year. Father Baker's vast "City of Charity" remains today and continues to evolve and grow. Comprised of the Homes of Charity, Baker Victory Services, and OLV Parish and Elementary School, the OLV Institutions are as vibrant as ever. 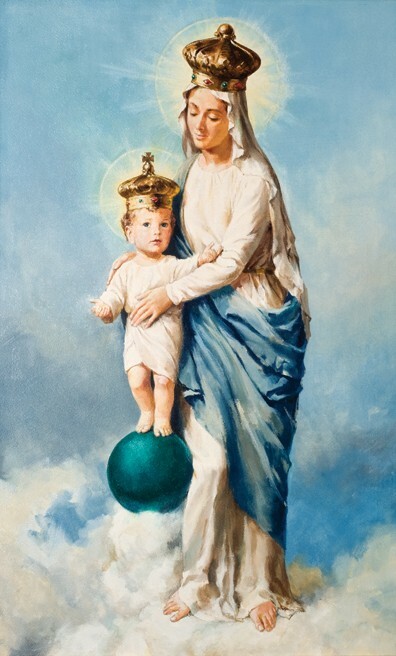 Although many things have changed throughout our history, we have never lost sight of our dependence on Our Lady of Victory and our humble founder's mission. It is this long history of service and devotion that continues to inspire and motivate Msgr. Paul J.E. Burkard, his staff, and thousands of generous patrons and friends from around the world. Residential Services - A wide range of care is offered for youths with behavioral and mental health challenges as well as young expectant mothers, in settings such as cottages, group homes, and 24-hour residential treatment facilities. Services for the Developmentally Disabled - Children and adults with severe physical and mental disabilities like mental retardation, spina bifida, and cerebral palsy receive round-the-clock comprehensive care. Education Services - A variety of traditional and specialized Early Childhood, Preschool and Special Education programs are offered to children from birth through adolescence. Outpatient Services - Striving to keep families together and prevent out-of-home placement of children, these programs focus on addressing problems at home and at school. Foster Care - Foster Care is available for families who wish to open their hearts and homes to children in need.